Find hog wallow: you have to search and sneak up to hog wallow. Do not forget to always walk with the wind on your face if you are not using the body control scent for wild pig hunting. Some hunters do not use it, and some do. Follow your instinct on that one. You can beat the hog-nose if you walk against the wind direction. The hogs like to dig around the wallow, and they like to roll around it. The mud cools the wild pigs down in the summer. Thus, they also like to be around the wallow during the cold period of winter time. To be sure that is the real hog wallow you are looking for, watch the base of the trees around the wallow. You will find out that they have been painted with mud and that is what the wild pigs do after bathing in the mud, they rub on the trees. Signs of wild pig rooting: experienced wild pig hunters throw some corn in the wallow. They even dig up some places around the wallow and leave some corn in it as the wild pig will want to dig it up with its nose when in the mud. Some hunters also put out a pig pipe – a PVC pipe with holes drilled in it and loaded with corn. Other hunters use a feeder that dispenses The purpose of leaving the corn in a position where the wild pig might have to work a beat before gripping on it is that it will hold the pigs for some time so that the hunter will have enough time to place his or her shot on the right target. It might take the wild pigs sometime to find it, but surely, they will find it. Put out a game camera where necessary: this will help the hunter to be able to pattern the wild pigs for planned hunting. The camera also helps when the hunter discovers the wallow for the first time and not sure whether if actually the wild pigs come around it. In placing the game camera, and then placing corn around the wallow for the pigs to feed like I said earlier, the camera will be able to capture everything that transpired. Then it will be cleared whether the wallow is for the wild pigs or for some other animals. Lay ambush somewhere close to the open area the wild pigs always walk across – their route. They always have a leader they all follow. If you take out their leader first, they run across each other in confusion – not knowing where to go. In this case, you might take down two or three or even more if you luck on your side. The second option. You might not want to take out the leader at first. But the last in the line. This will make their head pick a run deeper into the open field with other wild pigs running along with it. Here the hunter will have to take out the leader, and then all other wild pigs will get confused about where to run, and then the shooter starts picking them up one after the other. Thus, excellent hunting of such kind requires the best scope for 308 and a good 308 rifle if you are using one. There is another important thing to know when hunting in an open field. It was mentioned earlier that if the hunter takes out the wild pigs’ leader when they are in the open field then others get confused and start to run in chaotic form and the hunter then can place more shots on them. In contrary to that – the hunter might decide to stay still after shooting the wild pigs’ leader. The other pigs will try to run back to the direction they entered the open field. However, they might eventually stop to see what happened to their leader. This is if the hunter did not start jumping up and down in happy mood that he or she has taken their head out. The pigs will like to return to see why their leader is not moving – in most of the occasion, it happens the same. Then the hunter will have the opportunity to place more shots towards the wild pigs. 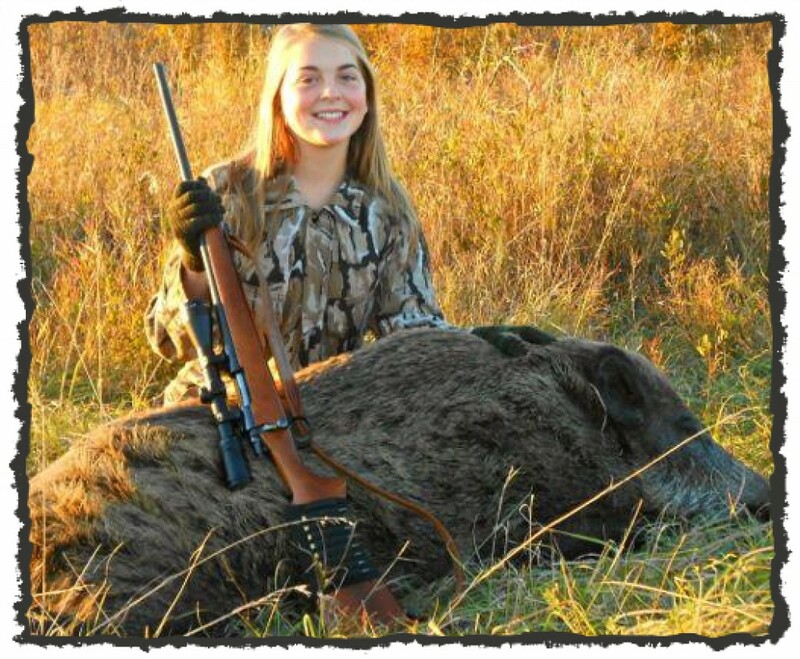 These are some tips for wild pig hunting. It might work for you as it used to work for some others. But the most important thing is learning from veteran wild pig hunters. For beginners, getting a license is a priority. And before hunting in private properties, you must consult property owner to avoid trespassing as it might lead to serious consequences.